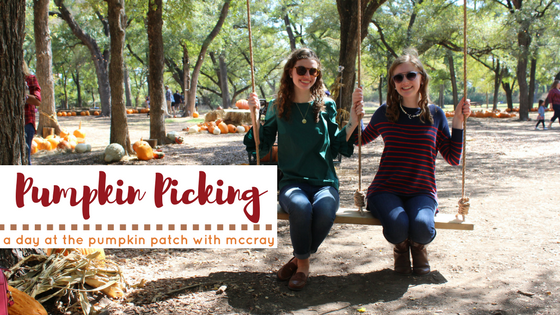 Life as Pink Einstein | Dallas Fashion and Lifestyle Blogger: Pumpkin Picking with McCray! A few weeks ago McCray and I were searching the internet for cute pumpkin patches in our area. We were a little upset when the only thing we found were sketchy pumpkin farms that were too far away. One day at school we heard about a new pumpkin patch in town and it was said to be so cute! We were so excited to go and take cute picture we planned a day and last Saturday we went!